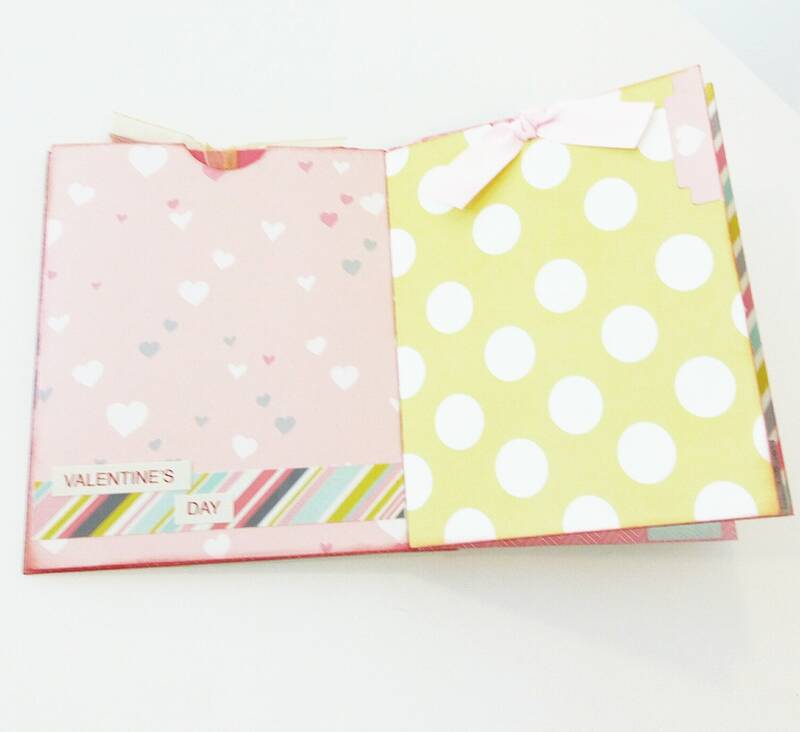 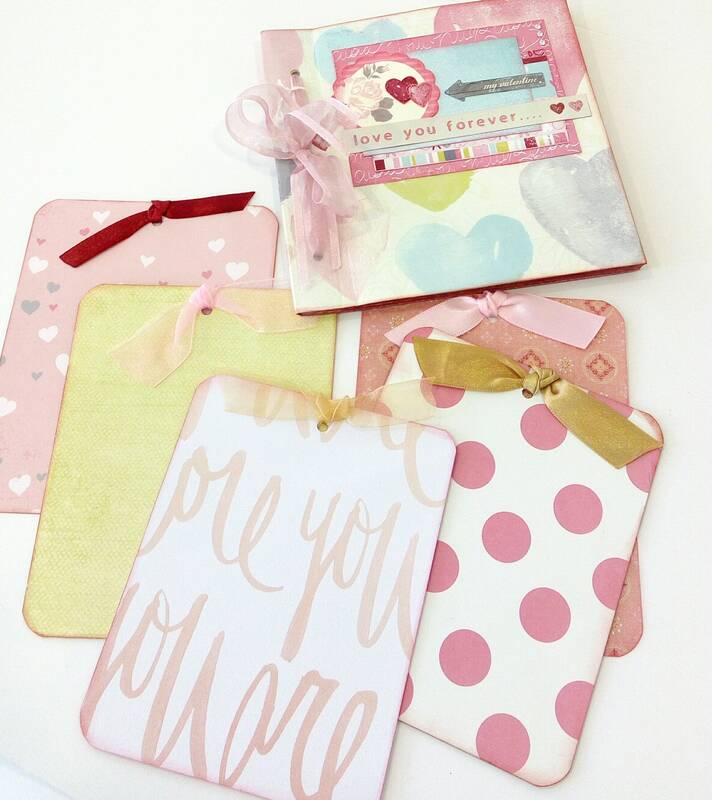 in pink,blue,yellow with hearts,flowers,polka dots. 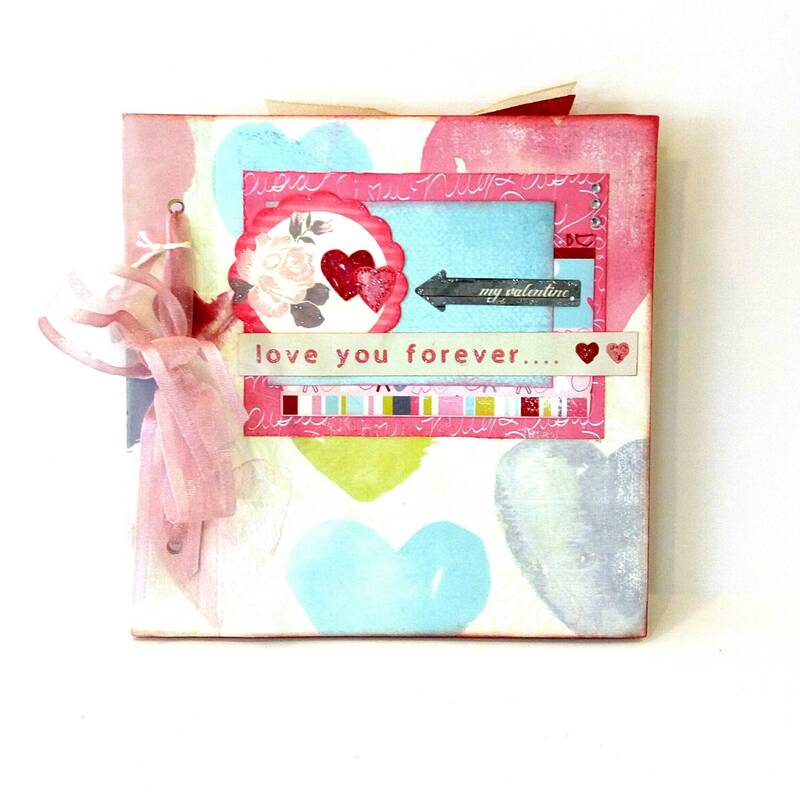 Add pictures and you'll have a colorful keepsake for years to come. 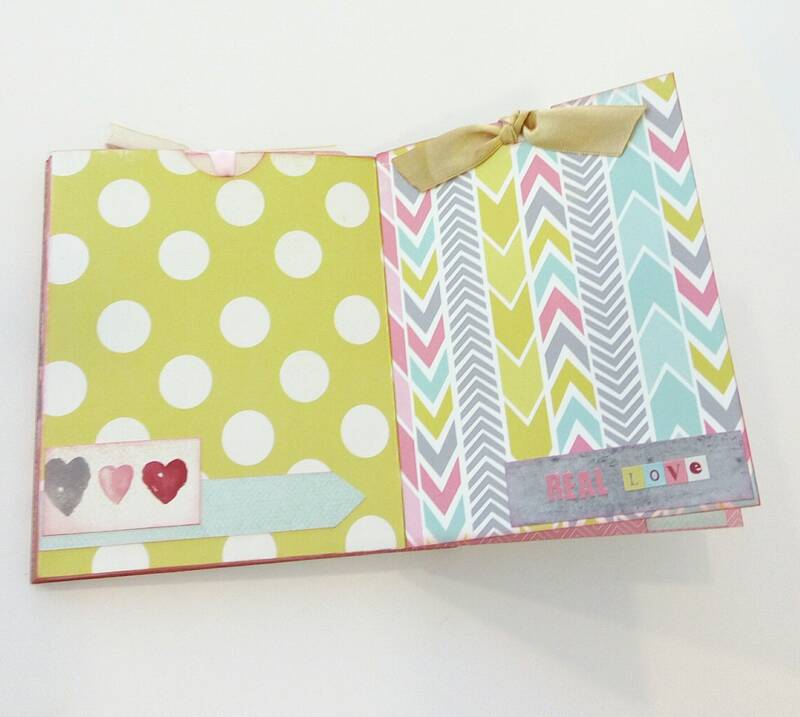 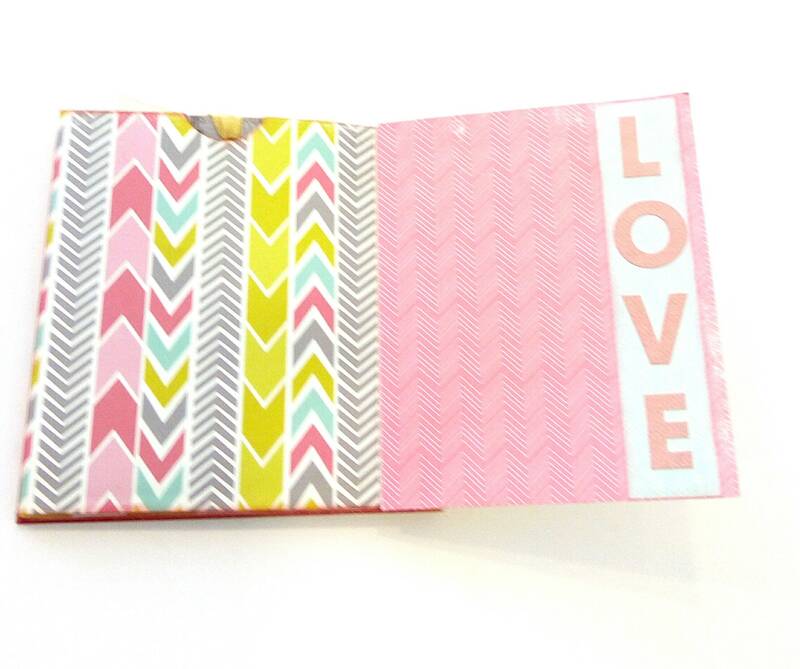 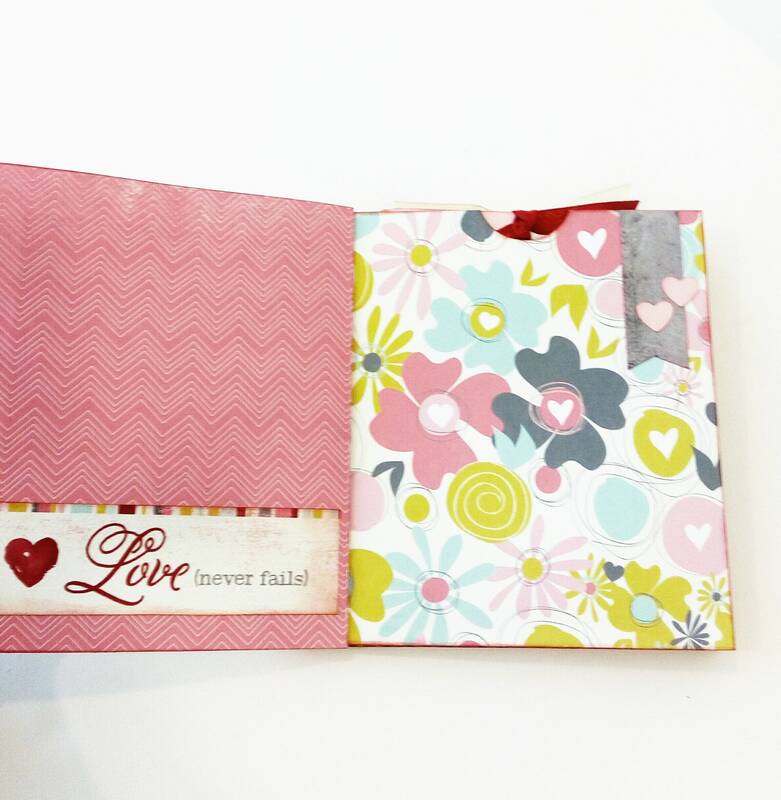 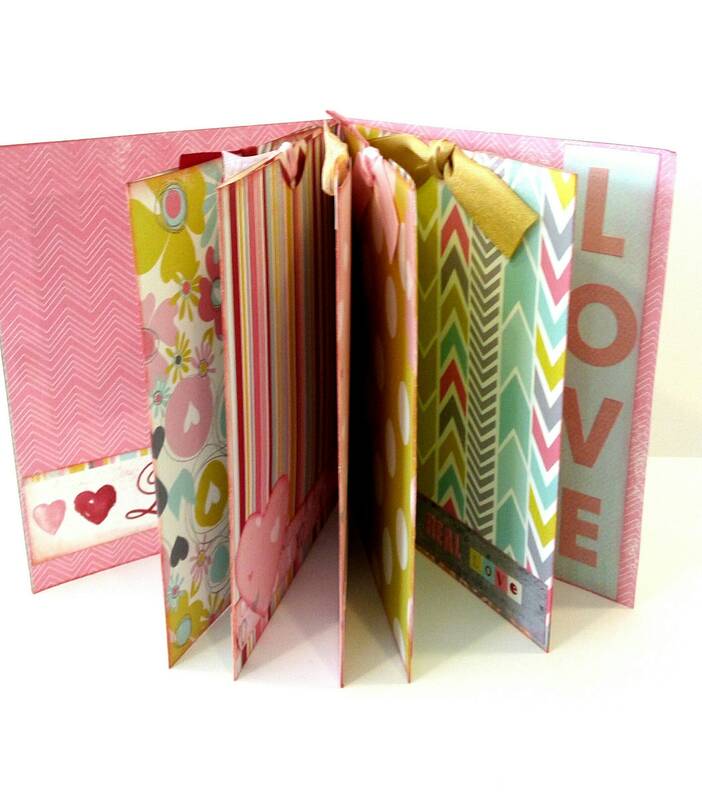 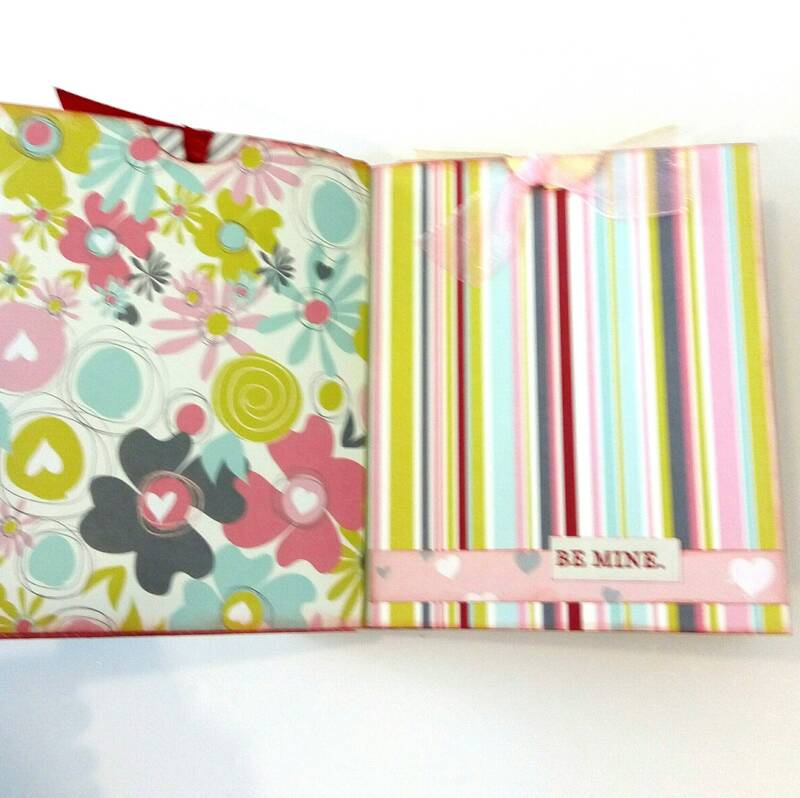 Pockets, tags, quotes and space for 20photos! * title "love you forever" "my valentine"